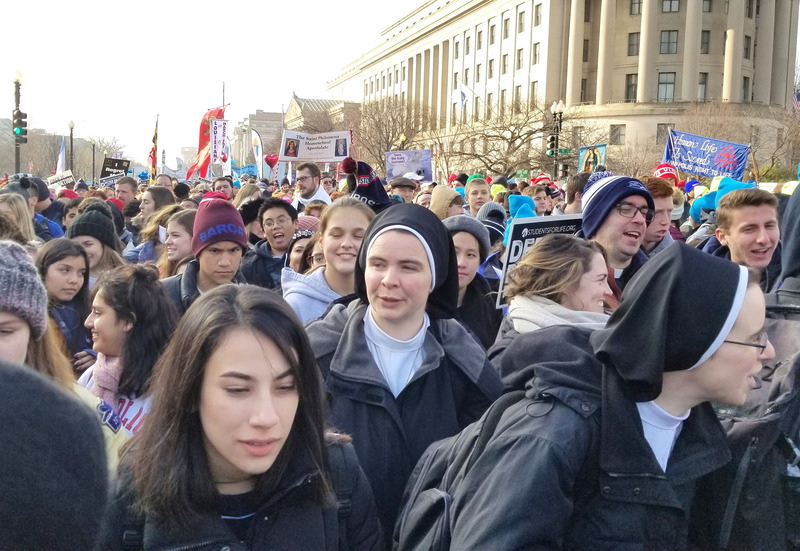 This year, St. Dominic Savio had the largest number of students attend the March for Life in Washington DC. 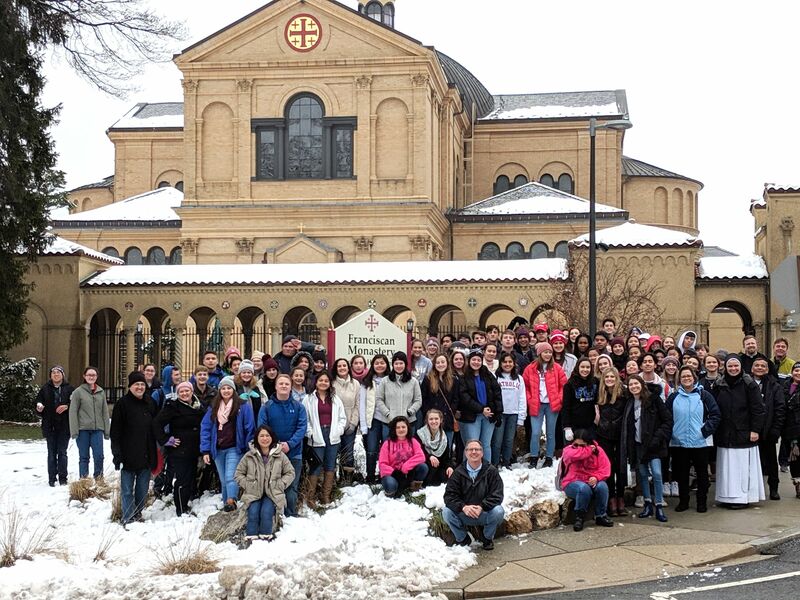 There were 67 students and 14 chaperones that traveled on charter buses to DC in the early AM hours on January 16th. They were also joined by a group of 24 students and chaperones from Holy Trinity Catholic High School from Temple for the trip. On the way to DC, the group stopped to see a few sites including the Our Lady of the Angels Monastery located in Hanceville, Alabama. 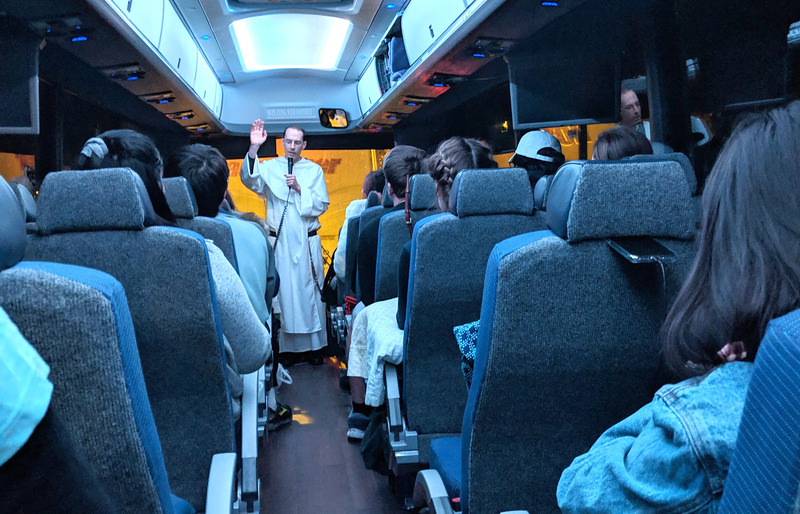 When they arrived in Washington DC, the weather was chilly with 30-degree temperatures as they headed into Mass in the Basilica of the National Shrine of the Immaculate Conception. 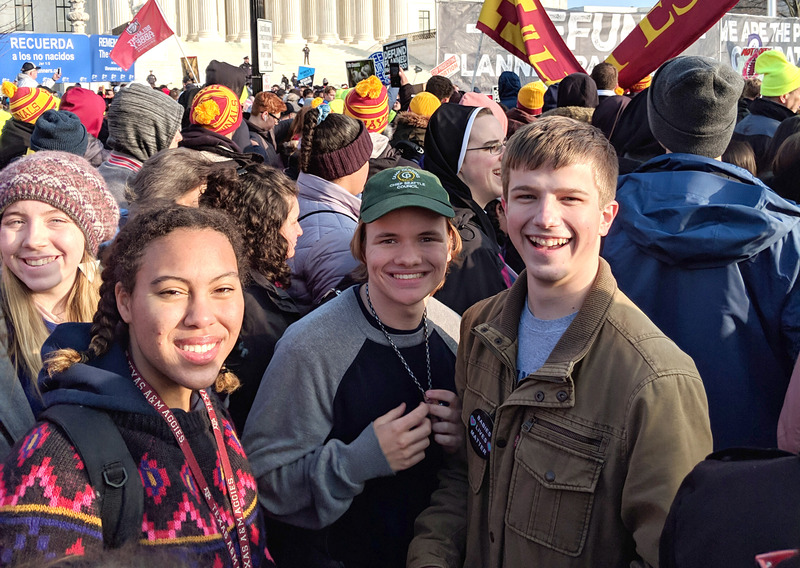 On Friday, January 18th the Eagles experienced the March beside an estimated 400,000 people from around the United States. 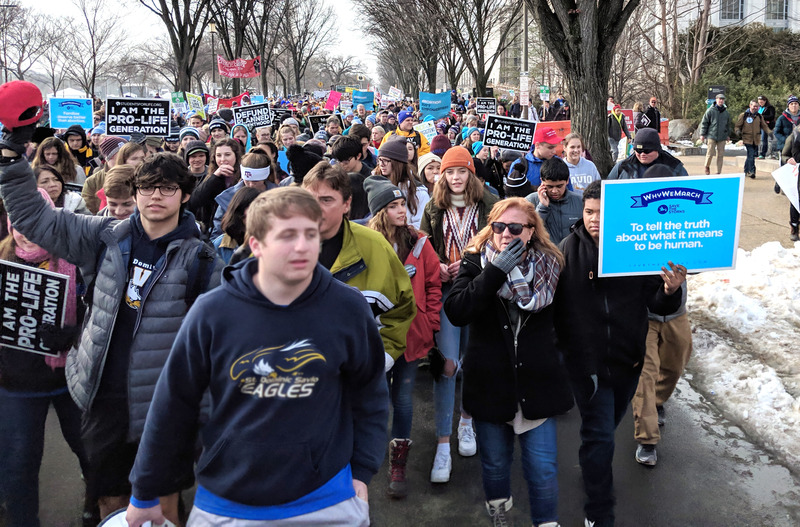 "The March for Life was a life changer. I wasn't always pro-life but when I went to the March my decision was locked in: all life should be protected. This starts from the moment we are conceived until the day we die." (Fiona, Class of 2021).